available in unc and metric thread sizes. unc threads available in sizes from 800 pounds to 100, 000 poundsworking load limit, with a design factor of 5 to 1.
metric threads available in sizes from 400kg to 16, 900kg and dualrated in both a 4 to 1 and 5 to 1 design factor. 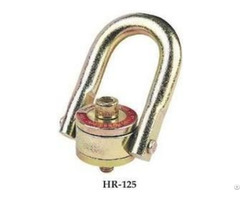 all components of crosby hr 125 m swivel hoist ring are alloy steel - quenched and tempered. 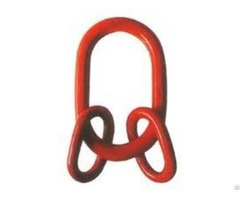 crosby hr 125 m swivel hoist ring is rated at 100% at 90° angle. each product has a product identification code (pic) for material traceability along with a working load limit and the name crosbyor “cg” stamped into it. 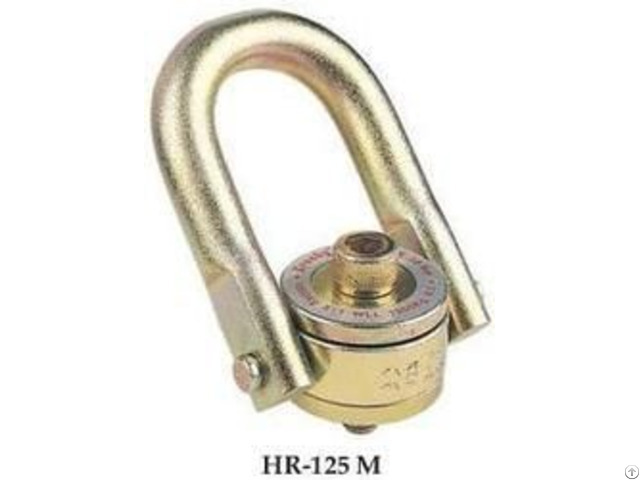 crosby hr 125 m swivel hoist ring meet or exceed all the requirements of asme b30.26 including identification, ductility, design factor, proof load and temperaturerequirements. importantly, crosby products meet other criticalperformance requirements including fatigue life, impact properties andmaterial traceability, not addressed by asme b30.26. 360° swivel and 180° pivot action. crosby hr 125 m swivel hoist ring is fatigue rated to 20, 000 cycles at 1-1/2 times the working load limit. crosby hr 125 m swivel hoist ring is individually packaged along with proper application instructions andwarning information. bolt is secured with e-clip, threads are grooved. this method allows for easy disassembly and assembly of hoist ring for thorough examination ofall components. replacement kits are available. bolts are individually proof tested. multiple bolt length available to meet specific application requirements. 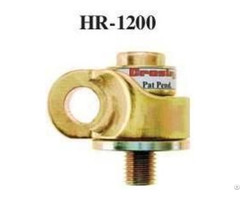 zinc plated (yellow chromate) finish for increased corrosion protection thru 30, 000 pounds size.